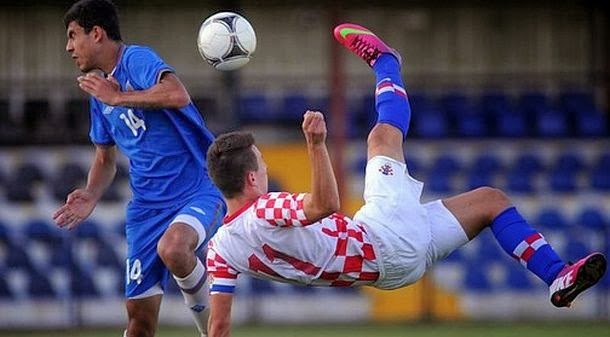 The first official match of Gibraltar national team played against the Croatian and in competition with players up to 19 years. Gibraltar is with 7:0 declassed by Croatian in the qualification tournament for placement in European Championship for players up to 19 years. Croats were celebrate with a hat-trick Kolar and Gibraltar will play more against the Czech Republic and Cyprus. The tournament is played in Ostrava. Otherwise, Gibraltar is the first October has become a temporary member of UEFA. Senior team will participate in the qualifiers for the European Championships 2016th year.